The QBrand QBlog: Reply to Karl Treacher on "brand deceit"
I really appreciate Karl Treacher’s reply to my blog on his description of an "audit" that judged Vodafone to be "top of the bad brand behaviour list" because of "brand deceit" (as quoted in B&T magazine, 9 February 2007). However, I’m afraid Karl’s reply simply raises a lot more questions than it answers. 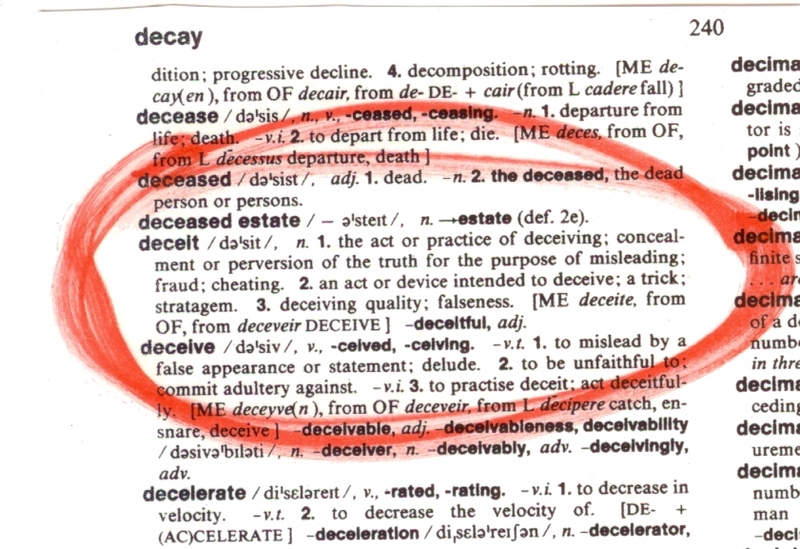 "Deceit" is a very strong word with a very specific meaning. The Macquarie Dictionary defines deceit unambiguously as "the act or practice of deceiving; concealment or perversion of the truth for the purpose of misleading; fraud; cheating". The B&T story suggested that consumers had rated Vodafone highest on "deceit", but included absolutely no information about the study. In particular, in my original piece, I wondered about the methodology. Well, it was "sound", says Karl: "A 9 month study – man on the street Qual. 7 stores, 10 people / store". So how were these qual respondents selected? What stores? Was there randomisation? What level of knowledge and experience had the respondents had with each of the categories and brands? In other words, how representative was the sample of the bulk of Australian consumers? To make a judgment that Vodafone was "top of the list" of badly-behaved brands clearly implies some kind of quantitative assessment and measurement, beyond the findings of qualitative research. Was there any statistical analysis of the positions on the list? For example, how many respondents with a positive view of Vodafone would it have taken to knock them off the top? Two out of the 70? Ten out of 70? Fifty? And where did deceit come into it? Was this the actual word used by consumers spontaneously (very uncommon in my experience as a qual researcher) to describe a disappointing brand experience, or a term offered to them by the qual interviewers, or was it added in post-fieldwork analysis by the folks at Brand Behaviour? 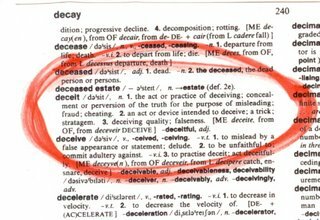 Was the degree of deceit scored and compared by respondents on some kind of scale (in order to arrive at a list of the worst)? Were respondents asked to rank brands (put them in order) in terms of "deceit"? Which brands? The point is, when you say a brand was "top of the list", then we expect that there’s a list somewhere and an explanation of how they got in that order. Karl’s use of the term "audit" also implies a structured measurement (quantitative methodologies) against some kind of benchmarks, rather than exploration and investigation (qualitative methodologies). There’s a very big difference between – on the one hand – a brand that lets customers down and fails to deliver on its stated brand promise, and – on the other hand – a marketer that sets out deliberately to conceal or pervert the truth, and to cheat and mislead customers (as per the accepted definition of "deceit"). If consumers really believe that Vodafone has practised deceit, then the ACCC should sue them under sections 52 or 53 of the Trade Practices Act, which deal with misleading or deceptive conduct and false or misleading representations in trade or commerce. I have no argument whatsoever with Karl over his conclusion that Vodafone hasn’t lived up to the promise of a couple of years ago – it has clearly slipped a long way from the position it held in 2004 - and that consumers may well feel the brand hasn't lived up to its promises. But in service markets like telecommunications, banking and insurance, there’s a 20-year stream of literature on "gaps" in service quality and service delivery that provides many suitable terms – with numerous published benchmarks – to describe under-performance against expectations (e.g. the Berry, Parasuraman and Zeithaml "negative disconfirmation" model). I just don’t think a term like "brand deceit" is necessary, illuminating or appropriate to describe what has happened to Vodafone. Not that I want to sound like a grammar teacher, but "integrity" is also a pretty strong word. The cover of B&T is a lot more public a forum than the QBrand QBlog. And clearly the Brand Behaviour report didn’t come into the possession of B&T off the back of a truck. Given that B&T claimed it as an "exclusive", I’m sure that Karl fully expected that it would get a run and generate publicity for Brand Behaviour in the process, with some quotes thrown in for good measure. He should also, therefore, have expected, and been prepared for, reasonable scrutiny. Instead, Karl is being laughably unreasonable in questioning my integrity, apparently because I didn’t contact him personally to "get insight" before making public comment about the story. Does he seriously expect all 6000 readers of B&T to contact him directly if they have doubts, concerns or questions about his research, its apparent findings and Brand Behaviour’s interpretations? I agree with you Stephen. There are serious worries in the methodology, and the use of language by Brand Behaviour to determine a "deceitful" brand. Clearly, BB is very sensitive about what you said in your blog, but I think that your response (23 Feb) was very appropriate. You can't really draw any conclusions with a sample of 70 people - you can get a sense of what those 70 people think, you could even say - if they were selected completely randomly (i.e., every person in the population had an equal chance of NOT being selected), and then analysed the responses in a validated and rigorous way - that there could be a good chance that the population thinks that Vodafone is "deceitful" (if this was the word they used, unaided and unprimed), but based on Karl's explanation, you'd have to say that they whole thing was just a bit dodgy... still it gets good exposure for BB in B&T. And that's what it's all about.